Kalyana Rasam is a rasam served in South Indian weddings for lunch and dinner. Though we make different types of rasam at home, kalyana rasam has unique, distinct, exotic taste and flavor. When I go for marriages, if I am not able to have Kalyana Rasam with Rice, then I prefer to drink at least a glass of rasam without fail; the only reason is my love for this rasam. Kalyana rasam is spicy, tangy and flavourful rasam with all the taste perfectly balanced. 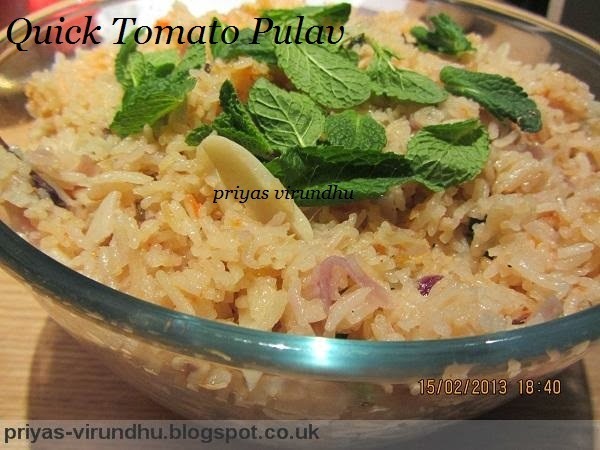 Do try out this kalyana rasam and post your comments here. 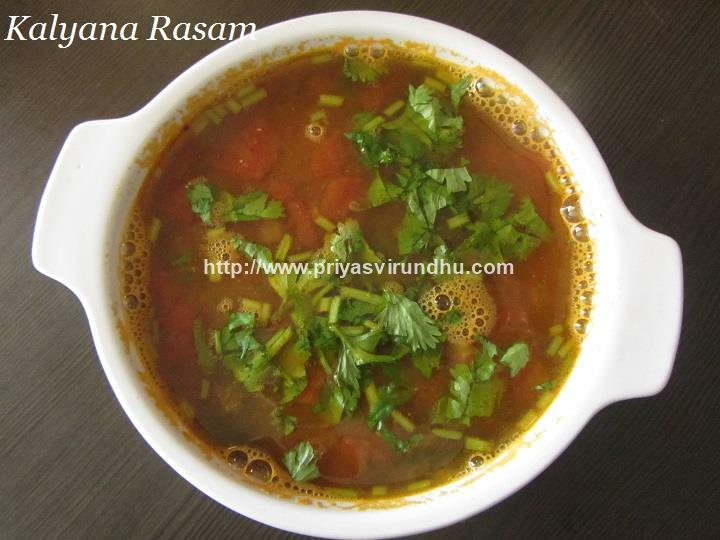 Meanwhile do check out other interesting and tempting RASAM VARIETIES I have posted earlier. 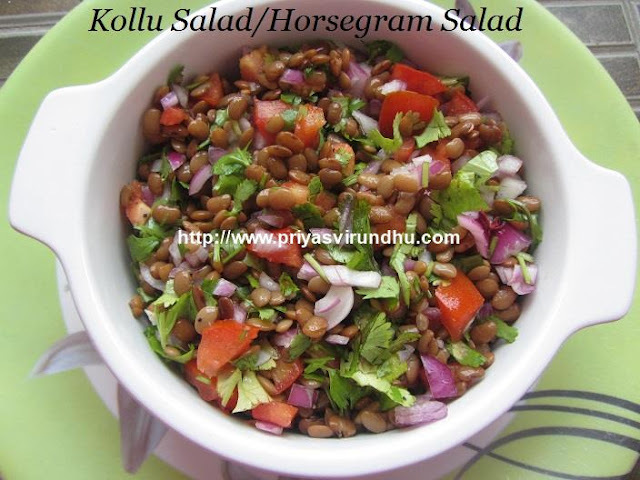 Here’s how to make Kalyana Rasam with step by step photos…. Today, I am going to share very basic Pasta with Fresh Tomato Sauce. 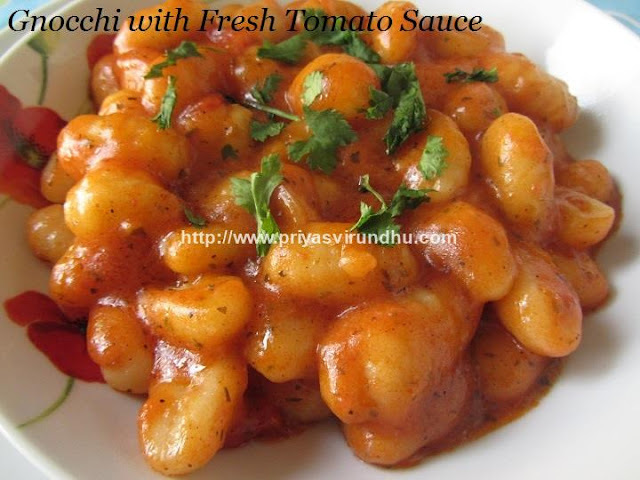 The tomato sauce is prepared with fresh tomatoes, garlic and mixed herbs. 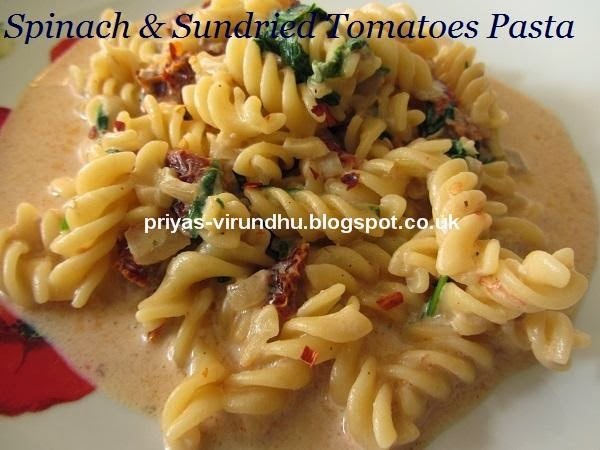 I have posted other Pasta recipes like Pasta with Cilantro Almond Pesto, Vegetable & Egg Pasta, Pastawith Chickpeas/Pasta e Ceci, Spinach & Sundried Tomatoes Pasta, TomatoMozzarella Pasta Bake, Garlic & Herbs Pasta with Parmesan Cheese, VegetablePasta – Indian Style earlier. 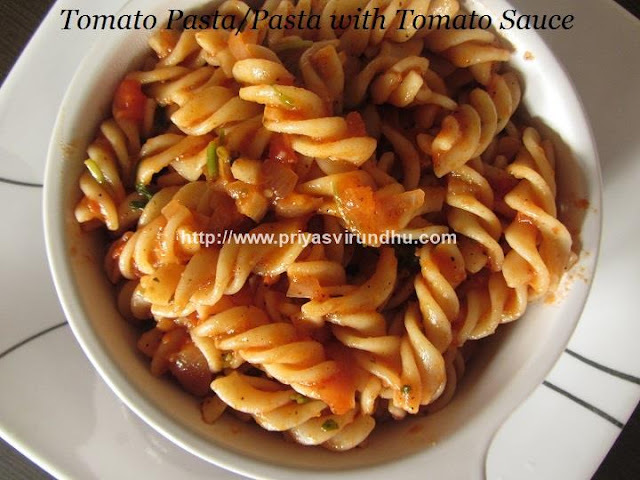 Do try out this Pasta with Fresh Tomato Sauce and post your comments here. For this month’s IFC, Sharanya of Just Not The Cakes challenged us with exotic array of Andalusian cuisine from Spain. Andalusia is one of the most populous and second largest communites in Spain, stretching south from sunny cities Cordoba and Seville all the way to Atlantic ocean and the Mediterranean sea. The name “Andalusia” was derived from the Arabic word “Al – Andalus”. Andalusia boasts many delicious foods offering travellers a chance to stimulate their palette while exploring. You don’t have to be in Spain to enjoy an exotic Spanish soup, do you? So, I chose to do the Gazpacho and share it with you all. Gazpacho is a tomato based vegetable soup, traditionally served cold. It is a very healthy soup made with fresh vegetables and consumed during the summer months to beat the heat. 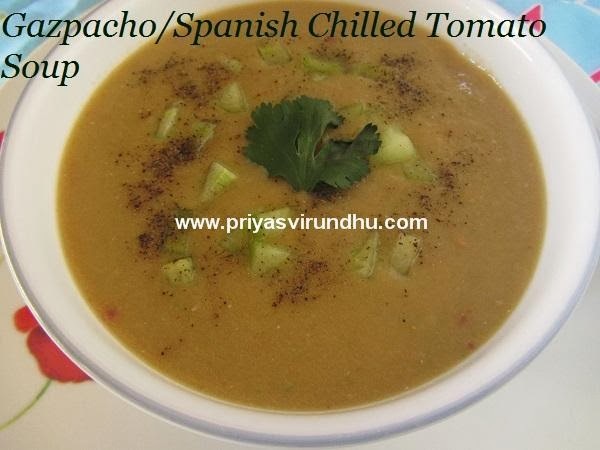 Gazpacho is made with stale bread, tomatoes, cucumber, onions, capsicum, vinegar, olive oil and salt. The best part of gazpacho is, we can prepare this soup previous day and serve it either as an appetizer or as a main course with toasted bread. How hard can it be? Hello friends, It's been almost 10 to 15 days after I posted any recipe because my laptop stopped working and I had a very hard time. But friends I did make sure I visited all your pages as much as possible. 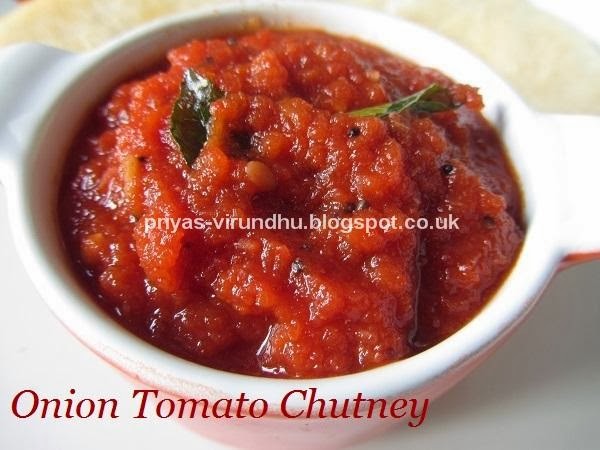 Now coming to today's recipe I made a delectable tomato chutney. 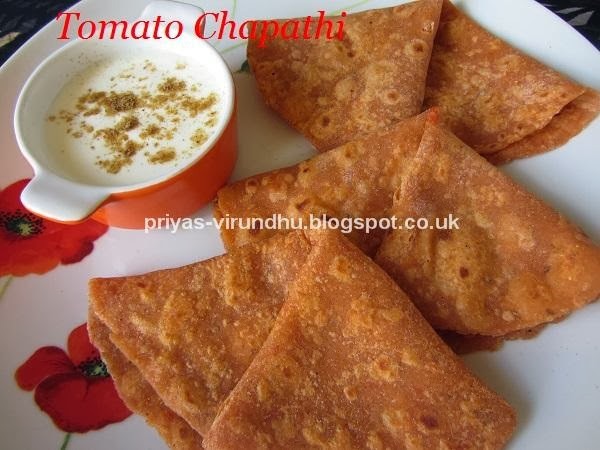 We make different types of chutneys as side dish for idlis, dosas etc in South Indian homes and the thirst and search of chutneys never end. This is one of the traditional and authentic South Indian chutneys made in many homes and restaurants. 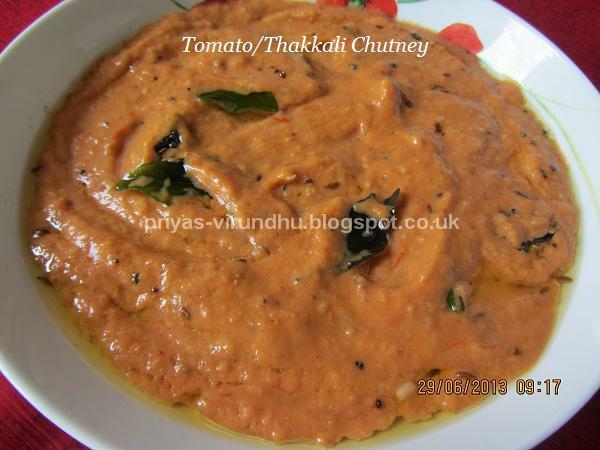 When served with idlis and dosas everybody prefers to eat more idlis just for the sake of this chutney. Just try it out friends, the taste will surely keep lingering in your mouth. Check out other delectable chutneys here.